Now that we’re well into spring here in the northern hemisphere (and getting ready for summer), there’s lots of wildflowers in bloom. 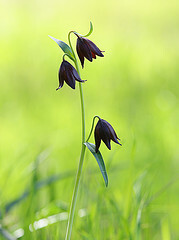 This is one of the best times of year for photography because the wildflowers also bring a lot of other cool stuff to photograph (such as butterflies and other insects). With so many exciting subjects, sometimes it’s easy to forget that this is also one of the most fragile times of year for the natural world. So, it’s important to “leave no trace” when you’re out on the trail. Leaving no trace means you leave the wilderness just as you found it (or maybe a little better by picking up any trash you find). It means the only thing you take away is photographs, and the only thing you leave behind is footprints. But, you should also be careful just where you leave those footprints. Write For PhotoNaturalist and Earn $40! When I first started PhotoNaturalist over five years ago, my original vision was to have lots of different photographers writing about their experiences and sharing their knowledge with other nature photographers. My father and I have done most of the writing here on PN up until now, but now that PhotoNaturalist is generating a stable income every month, I’d like to start featuring more guest writers on the blog. We can offer $40 per post. [Read more…] about Write For PhotoNaturalist and Earn $40! Today, PhotoNaturalist celebrates its fifth birthday! We’re now halfway to a decade, woohoo! It’s been an amazing five years. This blog has been one of the most rewarding projects of my life, and I’m looking forward to continuing its growth. Thanks for reading these past five years! 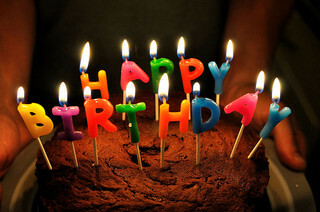 [Read more…] about Happy Birthday to PN! 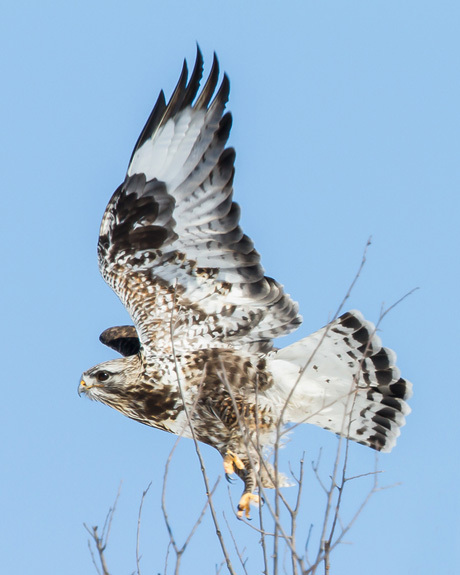 This is a photo of a Rough-legged Hawk (Buteo lagopus). It breeds in the arctic and migrates southward down into the far southern areas of western Canada and throughout much of the United States where it spends most of the winter. Its journey southward and back again is long and arduous. This particular photo was taken in southern Wisconsin in early March. Before we get into what’s wrong with this photo, let’s discuss a few good things about it. At first glance, this is exactly the type of photograph that gets the most attention on forums, listservs and social networks. It might even be a photo that could potentially win a photo contest. Why? Because it captures a dramatic scene that instantly makes the observer feel some kind of emotion. [Read more…] about What’s Wrong With This Photo? 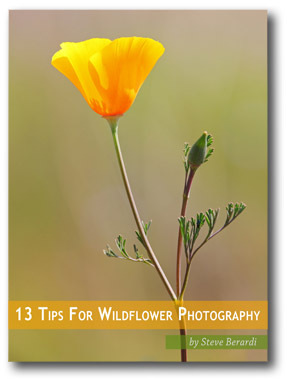 Join Our New Weekly Newsletter For More Great Photography Tips! Today I’m excited to announce the new PhotoNaturalist Weekly Newsletter. This is a free email newsletter that will contain a list of great photography tips, sent out every Thursday night. Every week, I read a ton of photography blogs, and come across many great tips and tutorials that I share on our Facebook and Twitter pages, so I think this email newsletter will be a great way to send out a summary of the links I share each week. [Read more…] about Join Our New Weekly Newsletter For More Great Photography Tips!